Amid a debate that has been raging on for decades, the shocking murder of the two U.S. journalists from Virginia’s WDBJ7 on live television has once again turned the spotlight on the issue of gun violence in the U.S. Gun violence statistics paint a gruesome picture: America is the country where firearms kill more people per capita than in any other developed nation. We truly live in one of the greatest nations in the world and while that may be reason enough to rejoice, how do we fare when it comes to gun violence? Statistics suggest that, in this respect, we’re one of the worst. Over the last two weekends of September, more than 50 people were shot in Chicago. That’s 50 people per weekend. Think about it: our children and their teachers get shot during school hours. You run the risk of getting murdered at church or in a movie theatre. That’s surely enough to make you feel unsafe. Americans pride themselves in living in a country that has the highest private gun ownership rate of all other developed nations: 89 firearms per 100 citizens. Though intended to be used for self-defense purposes only (and that is unquestionably a legitimate reason), firearms contribute to a high number of deaths. There are over 283 million guns in civilian hands at the moment, with that number increasing by 4.5 million every year. Second hand gun sales are also reputable: approximately 2 million every year. According to an HDI (Human Development Index) report, the U.S. sees 29.7 homicides yearly for every million citizens. Compared to this statistic, the runner up (Switzerland) doesn’t even come close, with only 7.7 firearm homicides per million citizens. Now the question is whether these statistics stem from an even larger problem: illegal gun ownership and gang activity. Chicago gun violence statistics are particularly bleak. So far in 2015 alone, there were over 2,300 shootings. But this isn’t the only number that’s going up. Chicago has also experienced a 21 percent increase in homicides. America’s third largest city is experiencing a problem like never before. Chicago’s statistics on gun violence are discouraging to say the least: at the end of September, there had already been 400 more shootings than had been reported at the end of September last year. That’s over 8 shootings daily. 294 mass shootings (incidents that were reported and verified). 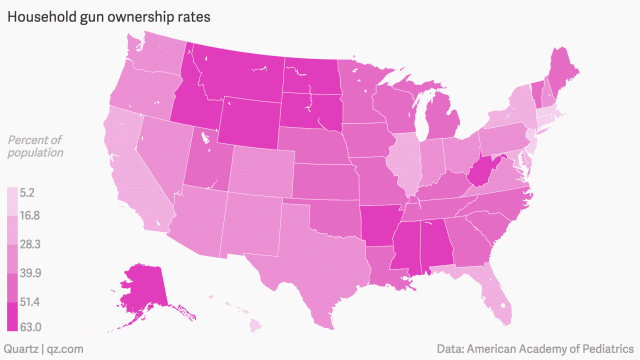 It should come as no surprise that the states with the highest household gun ownership rates are also the states where the number of deaths related to gun violence is the highest. Looking at gun violence statistics by state, there are 10 states that top this list: Alaska, Louisiana, Mississippi, Alabama, Arkansas, Montana, Wyoming, Oklahoma, New Mexico, and Tennessee. While the numbers clearly speak for themselves, a report from the Law Center to Prevent Gun Violence reveals that the U.S. states enforcing the strongest gun laws are also the states where gun death rates are lowest. While gun-related deaths in the U.S. have undoubtedly surpassed those of other developed nations, there’s an issue that needs addressing: the CDC leaves out gun-related deaths from its statistics due to a number of things. The Atlantic reports that this is caused by the fear of taking on the gun lobby, privacy concerns, as well as by the issue of police-related shootings. There are some countries that average fewer than 50 gun-related homicides every year. Japan for instance. Others, such as Germany, Italy, and France see fewer than 150 gun-related deaths yearly. Canada, our friendly neighbor, averages fewer than 200 gun-related homicides each year. America, on the other hand, averages way over 10,000. What’s more concerning is that, nowadays, more people die by guns than by cars. In part, this is due to the strict rules that automobile manufacturers have had to adhere to. Gun control reform advocates insist that while automobile and appliance manufacturers have had to respect increasingly stricter rules, America clearly boasts a lack of regulation when it comes to guns. “Numbers indicate that gun deaths are trending somewhat upward as motor vehicle deaths continue on a steady decline,” Dorothy Samuels from the NY Times wrote. 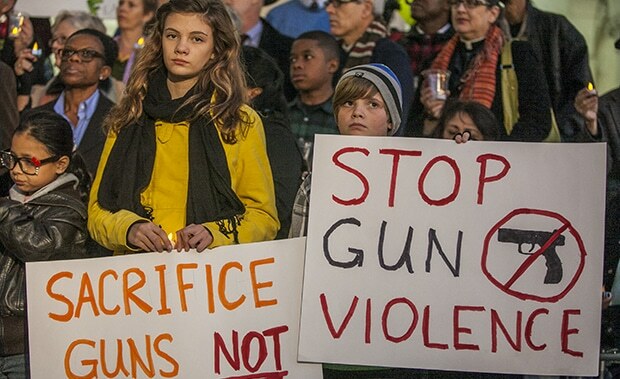 Why Isn’t Gun Violence a Public Health Problem? Since 1996, the CDC (Centers for Disease Control and Prevention) hasn’t amended firearm research and it’s easy to understand why. For one, there are no volunteers willing to pay for gun violence research. Earlier this year, as a result of pressure from The Washington Post, the CDC admitted that it had commissioned an agenda for possible research goals. However, they still lacked the funding to pursue this research. President Obama attempted to offer the CDC a $10 million budget. However, the funding initiative fell through. Luckily, there are numerous nonprofit organizations that attempt to offer well-researched statistics as to gun violence, and while that may suffice for now, it’s really an issue that the CDC isn’t coming up with a solution for this problem. The issue is that gun violence is also costly. There are costs associated with medical care (in both the cases of the assailant and the victim), the legal justice system (which has to track down, apprehend, try, sentence, and incarcerate criminals) as well as with the numerous precautionary measures that have now become the norm. It’s not only airports and public institutions that now use metal detectors. They are now ubiquitous in schools and other institutions. The Second Amendment gives any American citizen the right to bear an arm. However, each state has unique gun possession laws, and these laws have been loosening since the early 80’s. Since 2009 alone, the NRA has invested millions of dollars in hopes of rolling back gun restrictions. They have largely succeeded in doing so. While background checks are a mandatory step in the sale of a gun by licensed gun dealers, some claim that 40% of purchases are completed without such a check. While some states do prohibit openly carrying firearms in public (Florida, Illinois, California), others (such as Georgia) enforce open-carry legislation, which, for instance, allows firearms to be carried inside churches and bars. Politifact raises some fair points that put gun-related deaths into perspective. There have been 1,396,733 cumulative war deaths since the American Revolution. And 1,516,863 gun-related deaths since 1968. You draw the conclusion. Hey Buddy!, I found this information for you: "America’s Unique Problem: Gun Violence Statistics You Need to See". 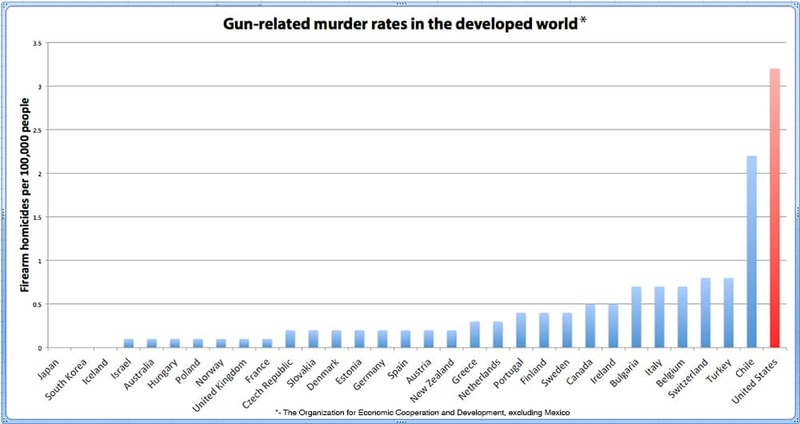 Here is the website link: https://thegunrights.com/gun-violence-statistics/. Thank you.